The scene of the accident today. 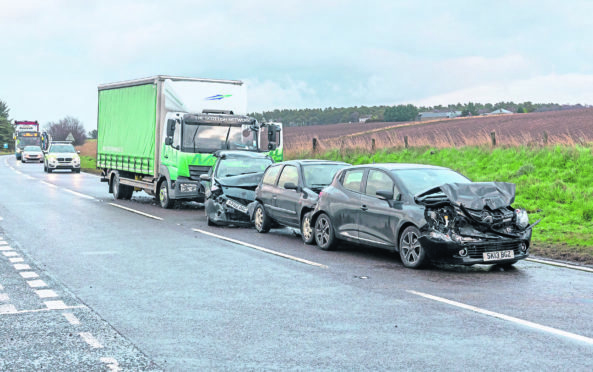 Two people were taken to hospital yesterday afternoon following a five-vehicle crash on the A96 near Forres. Emergency services were called to the incident involving one lorry and four cars at about 1.50pm at the Kinloss turn-off. The road was closed for about two hours as police, fire crews and ambulance teams attended, with one person being cut out of their vehicle.